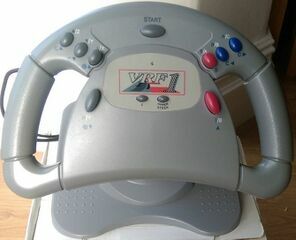 The VRF1 X-Cellerator is a third-party analogue racing wheel released by Blaze. It is compatible with the Sega Saturn, PlayStation and Nintendo 64. The package comes equipped with both a wheel and pedals.